Odds are you know someone who uses or sells essential oils. They are exploding in popularity, and it seems the health care claims associated with them are expanding too. While many doctors say there are benefits to using essential oils, they want you to do your research and be wary of how you use the oils. Lavender, tea tree, lemon, frankincense and peppermint are just a few of the dozens of different essential oils on the market today. The oils are extracts from plant seeds, bark, stems, roots and flowers. Not only are there different aromas, but there are several different companies that sell the oils. With all the options and not a lot of wide-reaching research, choosing which essential oils to use and where to buy them is a difficult one. Traditionally, people use the oils by putting a few drops into a diffuser and spreading the fragrance throughout the room. Others use a drop of it on their skin to topically aid a variety of ailments or aches and pains. Each smell is said to lead to a different effect from calming and soothing to help with digestion and sleep. Relaxing is one way to reduce stress. Experts note that everyone experiences stress differently, but long term effects of stressors are thought to contribute to everything from high blood pressure and ulcers to irritable bowel syndrome. The American Heart Association (AHA) also says stress may impact behaviors like smoking, physical inactivity and overeating, which can lead to an increased risk of heart disease. Stress is also linked to decreased energy, sleep problems and feelings of being out of control. Some people may also choose to drink more alcohol to manage stress, which can also leave a negative impact on your heart. What should users keep in mind? Dr. McLoone says you need to make sure you do your research to find out if the oils you use are pure. However, finding out those details can be difficult. The best way to check on purity is to ask someone you trust who has a good knowledge of the essential oils you are considering using. There are also no national standards around testing the oil and they don’t go through the U.S. Food and Drug Administration (FDA) approval process like other medications on the market. 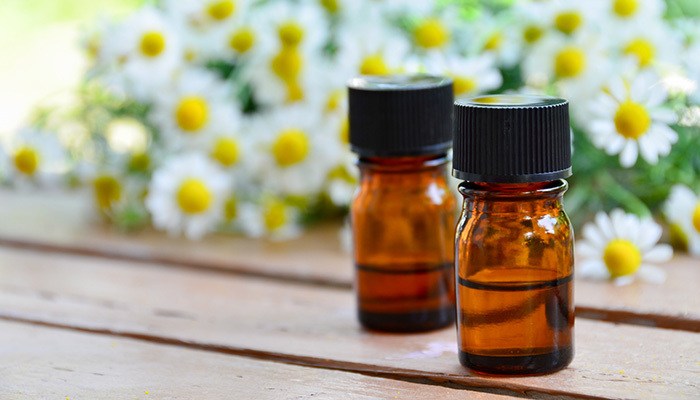 According to the FDA, people think essential oils are safe because they come from a plant. However, many plants contain toxic materials that might be irritating or cause allergic reactions when applied to the skin. For example, certain citrus oils used safely in food can be harmful when applied to the skin and exposed to the sun. Researchers have long known that certain citrus juices on the surface of the skin can make skin more sensitive to the sun and lead to serious burns. The FDA has issued warnings against several of the companies, saying the consultants were marketing their products as possible treatments or cures for things like Ebola, Alzheimer’s disease or cancer. The warnings have led the essential oils sellers to use more general language about health care claims. What about ingesting essential oils? Dr. McLoone also suggests that most people should refrain from ingesting the oils. When putting the oils into your system, there’s an increased chance of side effects. “Recently, the oils have become very popular, and companies are advertising them for all sorts of additional uses like testing in capsules. That’s a whole separate issue, that’s a different delivery system and there can be potentially harmful effects,” Dr. McLoone said. What about using the oils on and around young children? “You shouldn’t use some types of oils if you are pregnant or raising a young boy going through puberty,” Dr. McLoone said. Dr. McLoone advises keeping kids away from some oils, like lavender and tea tree oils, that could produce hormonal effects. Some research shows these types of oils can cause large abnormal breast tissue in young boys. Dr. McLoone says he’s also read that the oils can theoretically impact breast cancer chances too. However, McLoone notes that most of these studies are inconclusive since most studies are extremely small in scope. Also, if you or your children have sensitive skin or suffer from allergies, you should be cautious of the oils. In those cases, users should start by using the oils sparingly on both the skin and for inhalation. While there are some oils to be cautious of, Dr. McLoone says using plants for self-care is not a new thought. He says a lot of medicines that physicians use were first found in plants. “Aspirin was originally from willow bark. When you talk about it being alternative medicine, it’s not necessarily a strange concept that extracts from plants would have an impact on the body,” Dr. McLoone said. As the oils become more studied, Dr. McLoone says they may also prove to be more helpful than once thought. He says if that’s the case, providers will need to be more open about their use by patients. “Some of them have antibacterial properties. In this form, it might work for patients and the traditional medical community, and everyone needs to be open to that,” Dr. McLoone said. As these oils become more popular, more people are getting into the line of business. Some people may be selling products that are impure or push the oils for uses that have no scientific indication at all. “They might put these claims out that they can help certain conditions like headaches, immune system issues, etc., but there isn’t scientific data around those things. It’s a buyer beware situation. I tell my patients to make sure they do their own research to make sure it’s safe. I would encourage patients not to go for whatever their friends are doing,” Dr. McLoone said. If you’re considering the use of essential oils or have questions regarding them, contact your UnityPoint Health primary care provider.